Hockenheim / Dusseldorf, 24 March 2014 – With their largest stand to date, Weidenhammer Packaging Group (WPG) is presenting a comprehensive portfolio of modern convenience packaging at interpack 2014 in Dusseldorf (March 8-14, Hall 9, Stand C 34 / D 31). Europe’s leading supplier of durable, attractively labelled packaging solutions will be introducing important new developments and presenting traditional favourites. These include composite cans and drums and high-quality plastic containers designed with In-Mould Labelling (IML) processes. One of the main attractions is WPG’s extremely impermeable barrier packaging, including peel-off top composite cans and plastic trays produced with Weidenhammer’s patented PermaSafe® technology. Weidenhammer will also be introducing the NaturalCan, a composite can produced using sustainable materials. Increased product protection and a variety of design options are among the most important characteristics of all WPG packaging solutions. This starts with the classic composite can, available in various formats – cylindrical, non-cylindrical and even oval – and sizes. It delivers optimum protection for moisture-sensitive dry bulk goods and boasts extremely eye-catching labelling for the POS. 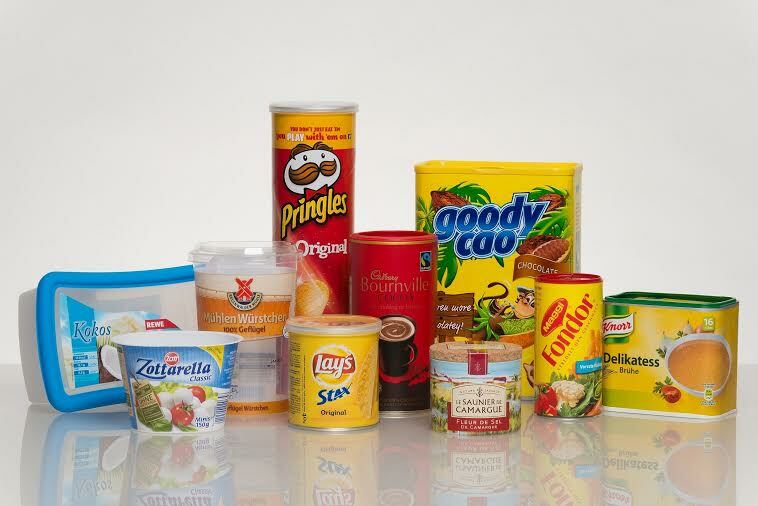 Products packaged in Weidenhammer composite cans range from foodstuffs like instant beverages, sauces, snacks and cereals to non-food products like tobacco, pharmaceutical and gardening products and pet food. Alongside the EvoCan – the newest generation of composite cans – individual packaging solutions like the SnackCan for stacked chips will be on display at interpack. WPG will also debut the NaturalCan this year. A new development in packaging, the NaturalCan embodies WPG’s response to a growing market with a particular focus on sustainable products and packaging solutions. The NaturalCan has a special emphasis on sustainable materials and is manufactured using 100% green energy. The NaturalCan is the perfect choice for manufacturers of organic and natural products. Environmentally friendly uncoated paper is used for the label, which also points to the sustainability of the packaged products. “Our composite cans represent convenience packaging par excellence! They are ideal for takeaway products and are easy to open and reseal. That’s why they are so popular with consumers,” explains Rolf Regelmann, Director of Sales and Marketing at WPG. This versatile WPG can offers retailers benefits in product and aroma protection, and as well as marketing benefits. With its wraparound labelling, this ready-made packaging means products no longer need to be decanted into other storage containers. Branding is visible to the consumer long after the product is opened. “In addition, special closures like shaker tops and dispenser lids can make the container more appealing to the consumer – which strengthens the brand image at the same time,” says Regelmann. Weidenhammer Plastic Packaging (WPP), WPG’s plastics division, also specialises in high-quality packaging with additional uses for the consumer. WPP’s plastic containers are produced using thin-walled injection moulding technology and are labelled with modern In-Mould Labelling technology (IML). In addition to packaging for sausage products, WPP is placing a special focus on dairy products at interpack 2014. WPP’s product range extends from plastic trays for ice cream to specially designed containers for mozzarella balls, as well as a small butter container which WPP developed for DMK (Ravensberger brand) as a new IML container. A special visually appealing modern two-chamber container with folding seam for dessert products is also on display. The side and bottom labels are seamlessly integrated without edges for a perfect all-round design (full cover experience) – a WPP innovation that is only available to the European market. The container has a soft, rounded bottom edge and is pleasing to the touch. “The advantage of our IML packaging is not just in the attractive look and feel”, says Rothschink. “We are also continuously improving the sealing properties of our plastic trays.” The newest developments from the PermaSafe® packaging range will also be on display at interpack 2014. Since its launch, the “reinvention of the metal can”, developed by WPP especially for sterilised and pasteurised foodstuffs, has attracted numerous new clients. Practically impermeable to oxygen and steam, PermaSafe® guarantees high levels of hygiene and a long shelf life for delicate products like ready-to-serve food, sausage products and dips. Weidenhammer Packaging Group is presenting their range of composite cans, composite drums and plastic trays at interpack 2014 (Hall 9, Stand C 34 / D 31). Weidenhammer Packaging Group is presenting a comprehensive portfolio of modern convenience packaging at interpack 2014. It includes composite cans and drums and high-quality plastic containers designed with In-Mould Labelling (IML) processes. With 12 production sites, 1,100 employees and annual sales of €245 million, the Weidenhammer Packaging Group is one of the world’s two leading suppliers of composite cans, composite drums and plastic containers. Founded in Hockenheim, Germany in 1955, the family-owned enterprise has evolved over the last 55 years to become a market and technology leader in its segment. Weidenhammer customers include international brand product manufacturers Nestlé, Unilever, Kelloggʼs, Mondelez, Rügenwalder Mühle, Imperial Tobacco and BAT. Further information is available on the Internet: weidenhammer.de/en/home.